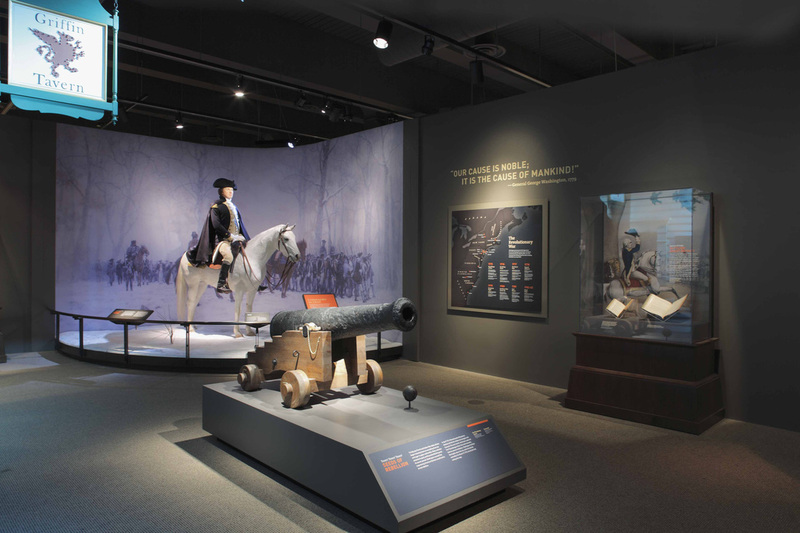 This exhibition, based on Mount Vernon’s highly successful Donald W. Reynolds Museum and Education Center features a rich presentation of objects covering eleven sections from George’s youth to his final days. It includes three full-scale figures, two architectural models, decorative arts pieces, dioramas, maps, drawings, documents, manuscripts, paintings, interactive programs, and videos that portray Washington in a manner designed to engage visitors of all ages. 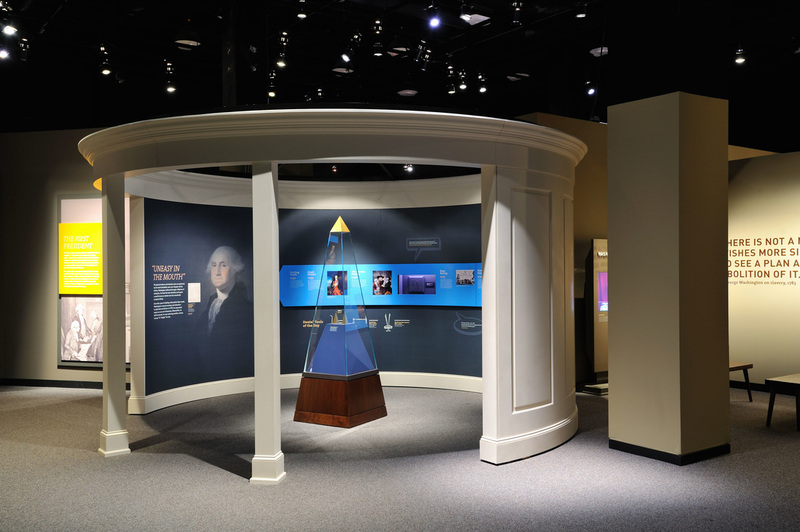 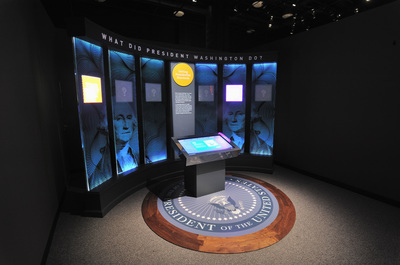 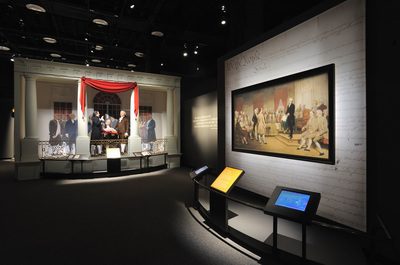 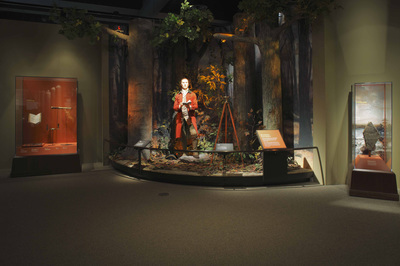 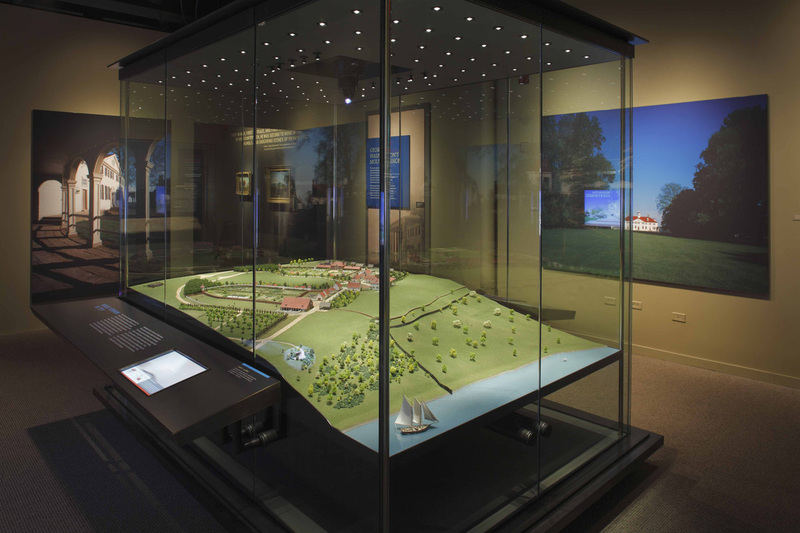 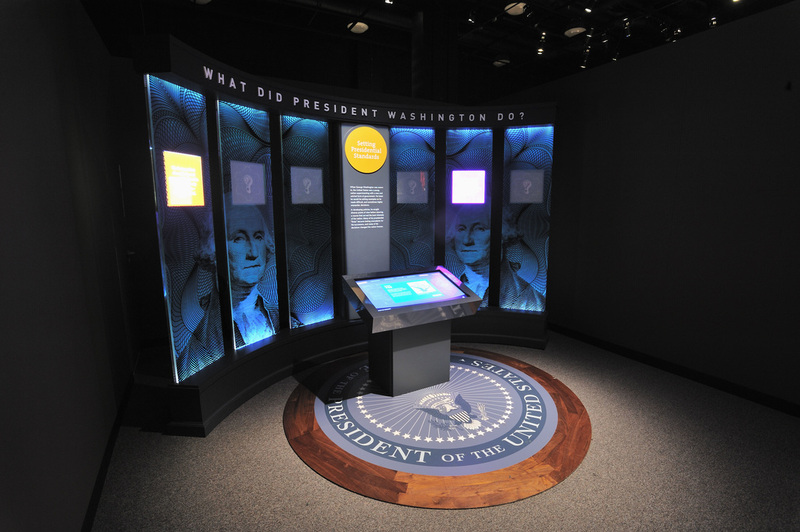 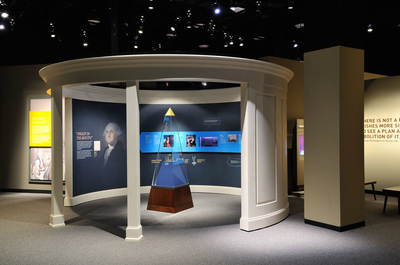 Highlights of the exhibition include Washington’s dentures displayed in an obelisk-style case, scale models of Fort Necessity and the Mount Vernon Estate, and a case displaying a Presidential table setting.